This part pack is designed to provide players with more flexibility when dissipating heat on their vessels. It is designed primarily to dissipate and control heat from nuclear reactors, but it can be used to work with stock parts such as LV-N/ISRU/drills and protect ships on Moho or near Kerbol. These new heat radiators provide different bonuses than the stock Heat Rejection Systems. They are superior for eliminating heat from equipment cores, so when cooling ISRUs, reactors and the like, you will need fewer radiators. However, they have less overall surface area - this makes them poorer choices for radiating overall vessel heat. Q: Will you ever finish this? This pack is compatible with the Community Tech Tree, version 2.0+. It places radiators in the Heat Management nodes. I think I speak for a LOT of people when I say this. Thank God and Nertea this is out! Fantastic! And I think it's a good move to separate these parts from Near Future. The sheer size and scope of NF will scare some people away, so players wouldn't even know about Heat Control, and even near-stock players will benefit mightily from this mod. Are you sure your Squad invitation wasn't lost in the sea of appreciation posts? Thank you! Jeb will be able to eat icecream again and not only drink boiled Minmus water. Any chance for it being added to CKAN and Kerbalstuff? It's already on Kerbal Stuff. As for CKAN, questions like that should go to the CKAN thread as most mod authors don't maintain their own CKAN metadata. In this case Streetwind has volunteered to assume maintainership of all of the CKAN metadata for Nertea's mods. We're waiting for his pull requests to make any updates. How do these compare to the Heat Management mod? Both in memory footprint and what it can do? I've always found it frustrating that they introduced heating without any particularly effective ways of managing it. Same here, I was surprised that they did the heating system without providing a dedicated radiator part. YAY! 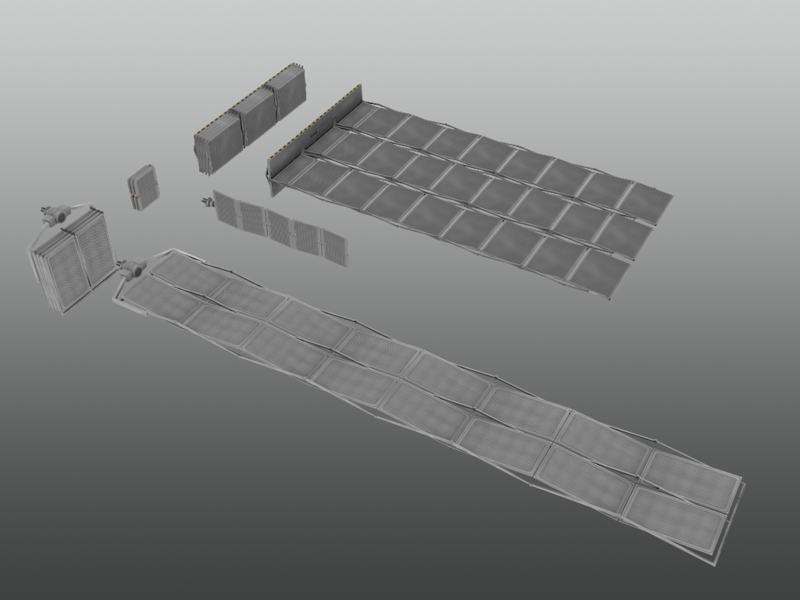 Now I can have legit radiators! RADIATE ALL THE THINGS! This does some different things and is using a plugin to expand on the stock heat system. One example: the radiators are not passive radiators like they seem to be in Heat Management, they're active. This makes them generally more effective as they're attempting to pull heat away from the craft rather than just passively heating up & dispersing. There's also the heat pipe which lets you pull heat away from whatever the source is (reactor, NTR, MPD thruster) and send it off somewhere else to wherever you may have placed your radiators. Functionally you can do a bit more with Heat Management, but outside of having extendable radiators the two are probably very compatible with one another. Basically what Sierra said. It has the same goal, but does things in a different way. Heat Management provides some things this doesn't like active and vent-based cooling, Heat Control provides more stuff with regards to moving heat around your ship. Okay, so this might be a redundant question but, I'm not running Near Future. I'm fairly stock but want to simulate more realism especially with my space station and Deep Space missions. Does this mod ADD heating to the stock game? Will my existing vessels heat up with this mod and without the parts? Or, once I apply a part, will things then heat up? Does this mod ADD heating to the stock game? Will my existing vessels heat up with this mod and without the parts? Or, once I apply a part, will things then heat up? Only stock heating system (sunlight exposure, shock heating, engines) to add heat. Heat Control just gives a few things to move the energy around in a more controlled manner. I haven't tried yet but any chance this works with KSP interstellar "waste heat"? I'm assuming it is only for "stock" heat but would be awesome if it could make the crossover. Interstellar uses a custom part module for its radiators which these do not share. It wouldn't be terribly difficult to make a config patch to add that in via modulemanager. I'm sure if one was created, Nertea would add it to the download. Getting other things like the heat pipe to work, however, is an entirely different animal due to plugin stuff. I assume you want these to have KSPI compatibility because you prefer their aesthetic over KSPI's correct? when i get to play ill see how well this works with http://forum.kerbalspaceprogram.com/threads/118189 should work good hopely. now off to tweak my game more to try to get around the damn mem leak they havent fixed. You did it! Hadn't seen the developed insulator textures yet, they look great. As long as you remember to toggle off the temp gauges (F10) shortly after they come on, you're fine. I have been withholding comment until I had the opportunity to test it myself. The models are absolutely first rate and the system is quite clever. Using a 3.75m multinode heat sink and four XR-4500 Radiators, I successfully completed a 30 minute burn at full throttle (4 LV-N's) with no overheats. The cooldown time after the burn was ~40 minutes, but I actually missed the exact time. I was shooting for an hour to see what the temps were and noticed the entire ship was completely cool at the 40 minute mark. The radiators themselves were still quite hot. A 3.75m multinode heat sink and four large radiators from HM also successfully completed a 30 minute burn at full throttle. After 1 hour, temperatures had dropped to ~800. Overall temps were higher throughout. There is a trade off in mass, but certainly worth it if you need to dissipate heat rapidly. I didn't bother to test them in conjuction with an AHMS unit because I'm relatively sure that you could fly into the sun with some clever placement with this particular combo. Edit: Just for giggles I tried the XR-4500's with a 3.75 AHMS unit. Heat equilibrium was achieved in the LV-N's at 2107.5 at around 13 minutes. You could literally burn forever. Anyway nice work Nertea, looks like another mod on my list once I'm no longer burned out on KSP!